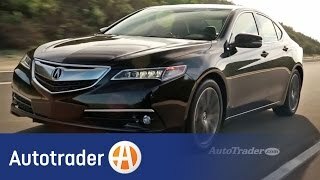 2015 Acura TLX SH-AWD Advance Review - Is Acura's Swagger Back? 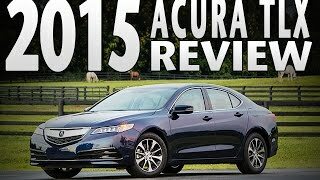 This is AutoAcademics' review of the 2015 Acura TLX SH-AWD with the Advance package. 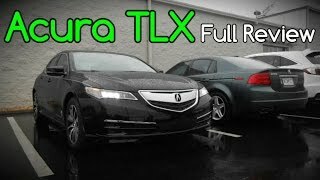 With loads of tech, "edgy" driving dynamics, and attractive styling, has this TL and TSX replacement given Acura its swagger back? I hate the idol shut off function. Sounds like an electric car. Chris said he must be a really nice looking guy! LOL Thanks for watching, DaOldSchoolRapLova96! We think the 2009-2014 TLs looked decent, too, but quite a few of us at AutoAcademics like this new body style better. We do still appreciate your comments, mccraejoey82. LOL Thanks for watching! 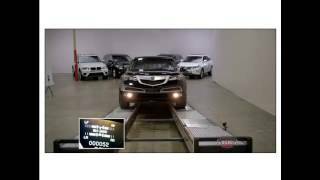 Acura failed with this car. They're so ugly, inside and out. Hoping the new GM turns the brand around -- they're too soft & boring/bland now. 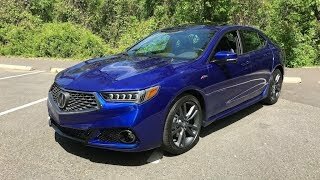 The TLX is as vanilla as it gets. 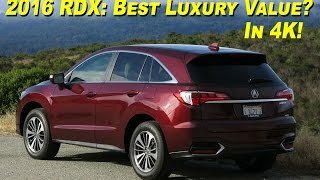 Acura should be rwd standard with optional awd, not that fwd garbage. Cayden Michael no, go. Away. Why hating on the grill, it looks perfectly fine. 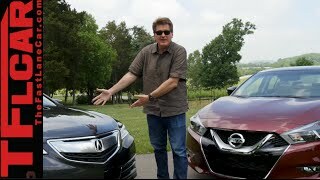 +CKPHH We actually like the grill on the 2015 TLX. It was just some of the earlier iterations on the '09 TL, '07 MDX, and '09 TSX that we questioned. But all is good again....at least in our eyes. LOL Thank you for your comments, CKPHH, and thanks for watching, too! I like your style and the music was a nice touch. 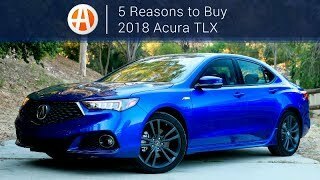 I sell Acuras and I have overcome some of my clients' objections regarding the jerky 9-speed by switching them to the SH-AWD version. It seems to soak up any excessive force from the powertrain. Also it gives the car some real performance benefits which enthusiasts should appreciate. Unfortunately people don't seem to care about cars that much these days. 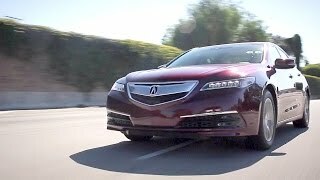 Acura really pushes the boundaries of engineering and performance yet people get Lexuses (Lexi?) because they are cooler or have more swag... Acura is changing that now and the new NSX will build our brand back up. I'm excited. Good review. +Nathan Adams Thank you very much, Nathan Adams. We appreciate the kind words and your comments. 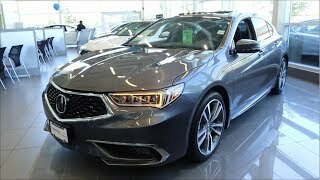 Acura caught our attention again with this TLX. Let's hope the trend continues. Thanks for watching! Great thorough review! Just test drove the 2.4l 4 cylinder version and drove great but not fond of the dual screens. +Eliceo Herrera-Flores Thank you for the kinds words, Eliceo! 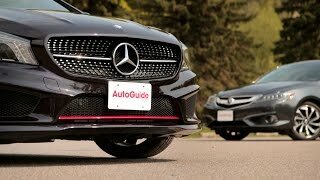 We haven't had an opportunity to drive the 4-cylinder with the dual-clutch transmission yet. Should be pretty nice and Chris (our host) said that he kept wanting to touch the top screen, wondering why it was so far away, until he became more accustomed to the car. LOL Thanks for watching! 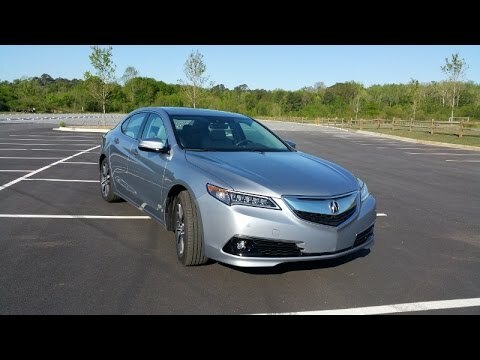 The ZF German transmission (in the TLX 3.5 v6) is not your typical auto transmission (as stated by the this reviewer) The ZF 9 speed is a dog clutch automatic transmission, gear shifts 1-4 is regular clutch / gear shifts 4-5 is dog clutch / gear shifts 5-8 is regular clutch and 8-9 is dog clutch. It takes a little bit longer for the teeth to align during the dog clutch gear shifts. Benefits of the ZF 9 speed is faster shifts and better fuel economy, 0-60mph can be achieved with gear shifts 1-4. +specialforce209 LOL We honestly have no idea, specialforce209. Thanks for watching! We're sorry the music level bothered you so much, +OneOfOne. We do appreciate you watching, though. Great video! You can make almost any car appealing, and you know what kind of car I like. the music in your reviews is too loud. 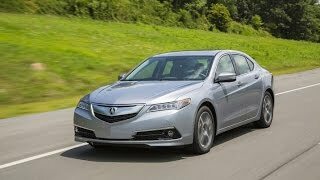 TLX made a recall on V6 models using 9 Speed ZF transmission that is the only major German part on TLX. The 8 Speed Acura built DCT with Torque converter working perfectly fine, though. There is your German engineering for you in comparison to Japanese Engineering. If the situation is reversed the Japanese engineer designed those faulty transmissions would have committed HAR-KIRI, while the German engineer may go and start working for Hyundai or Kia .. IF they admitted/he admitted his mistakes/unethical conduct. lol there is no reasoning with you man, you don't trust German engineering good for you, no one cares. The facts are the facts the end. lol man too many stupid people like yourself on the internet that for no reason hate something and will say/do anything to justify their beliefs. +Coraga 1 Yeah! major German Engineering for you ... movie on. +Coraga 1 Yes, "German Engineering"
+Johnathon Butler Thanks a lot, Johnathon Butler. And thanks for watching, too! Never heard about this channel before. Good and solid review. +Didimo Bautista Thank you, Didimo Bautista. And thanks for watching, too! Same thing can happen with a regular stick shifter. +aquateen77723 As with all current gear selectors, the brake pedal needs to be depressed prior to the vehicle disengaging park, so it would only be slightly more accessible than a traditional gear lever. Hope that helps, aquateen77723. Thanks for watching! 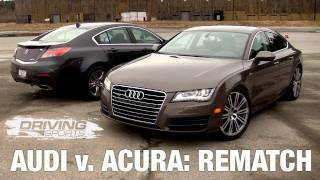 Acuras used to be sharp, and sporty, but they've lost their way. The TL was their best car by far. 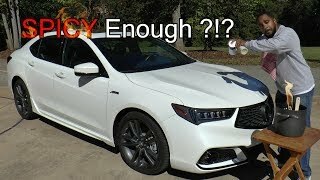 This TLX is a head scratcher! +AutoAcademics thanks AutoAcademics! Keep up the great reviews!! +fsugrad03 We agree that their designs had lost their way, and we weren't so sure about the aesthetics of the TLX, that is until we spent some time with it. It's still polarizing here at AutoAcademics, but Chris said it wore on him over the time he had it and then he actually began to appreciate it, and dare we say even like it. 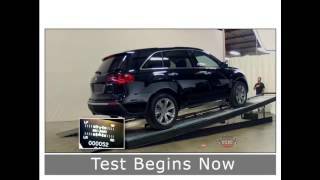 The car drives well and you get a lot of premium appointments and tech for the price when compared to some of the brands in its price range. Overall, this is one of those cars that people will have to experience to see what it offers. +TheMa5cmpb Thank you, TheMa5cmpb. And thanks for watching, too! They need to change the grill.